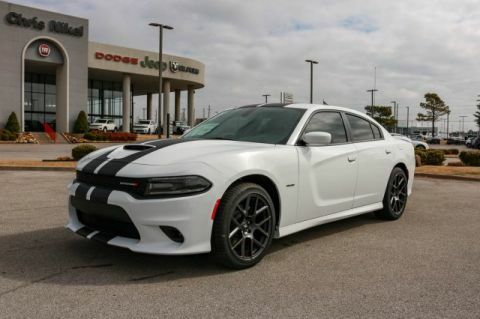 R/T: Gloss black fascia applique, Rhombi two-piece wheel center cap, and a heating element on the exterior mirrors. Daytona: Projector LED fog lamps, a black grille, and optional Automatic High Beam Headlamp Control. 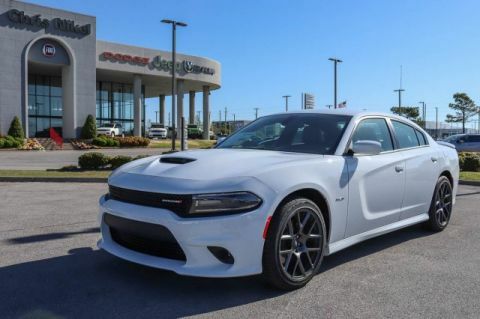 SRT® 392: Pirelli brand tires, performance side sills, and unique exterior badging. 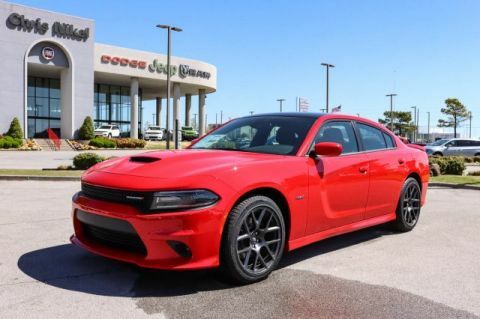 SRT® Hellcat: Performance hood with heat extractors, blind spot indicators on the power-adjustable exterior mirrors, and optional dual carbon stripes. 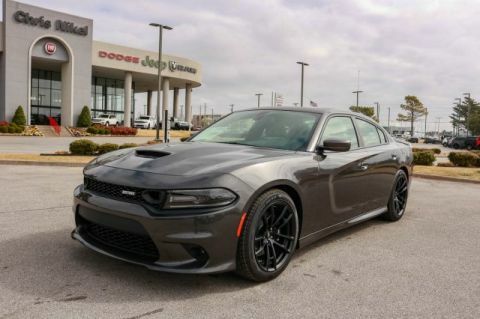 The 2018 Dodge Charger never fails to deliver excitement behind the wheel. 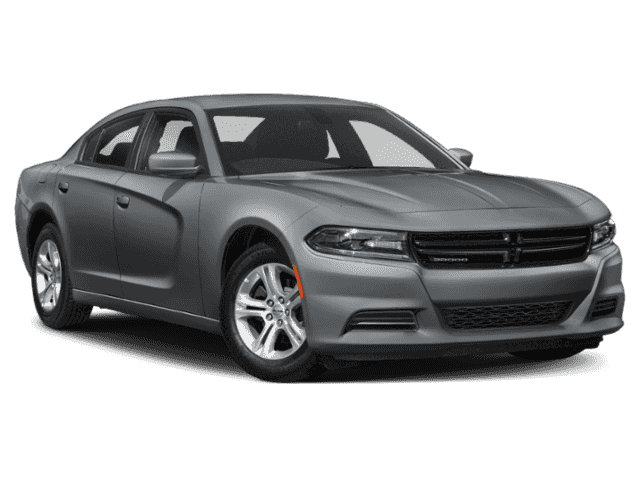 Several excellent engine options are available, including a 3.6 liter V6 and a 5.7 liter V8 HEMI®. 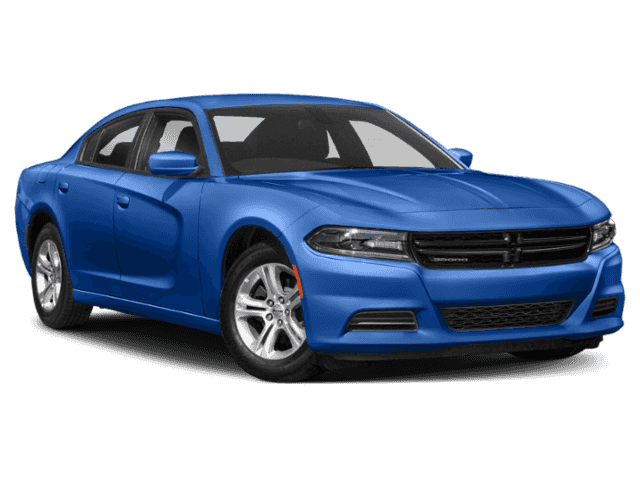 These powerful engines are paired with eight-speed automatic TorqueFlite transmission. AutoStick is included to make clutchless automatic shifting possible. Select models can achieve an EPA-estimated highway fuel economy of 30 miles per gallon. Given the vehicle’s 18.5-gallon fuel tank, this means that the car can travel long distances without needing to stop for gas. Available Blind Spot and Cross Path Detection provide drivers a better sense of objects within the vehicle’s blind spots while reversing in parking lots or changing lanes on the highway. 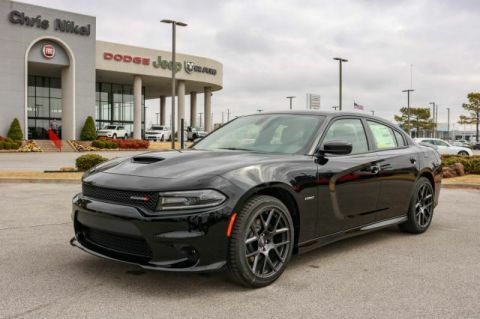 Are you ready to experience the thrill of driving a 2018 Dodge Charger in the Tulsa area? 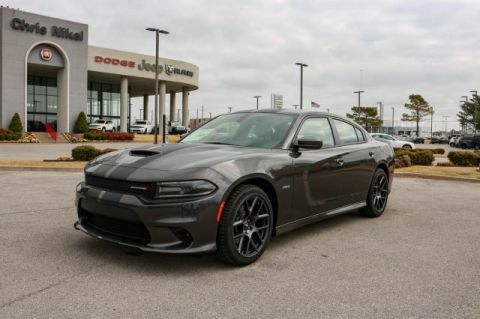 Stop by Chris Nikel Dodge Chrysler Jeep RAM FIAT in Broken Arrow today for a test drive. 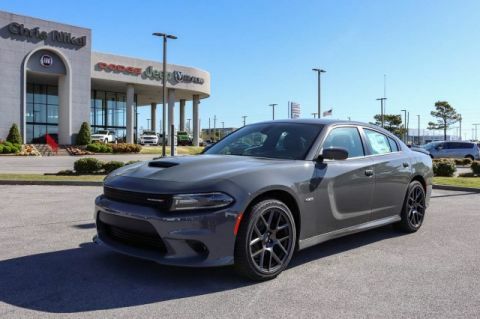 he 2018 Dodge Charger has a sporty interior with several luxurious elements. A variety of excellent seating options are available, including cloth sport seats, Houndstooth cloth sport seats, and Nappa and Alcantara® performance seats. Heated and ventilated seats on select models keep passengers comfortable no matter the weather outside. 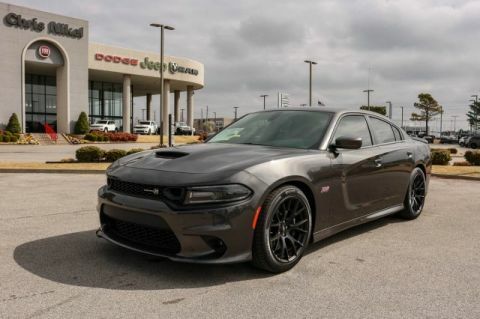 The 2018 Dodge Charger brings a muscle car dynamic to the sedan concept. The vehicle features bi-function projector halogen headlamps. Body-color door handles and exterior mirrors give the car a sleek look. 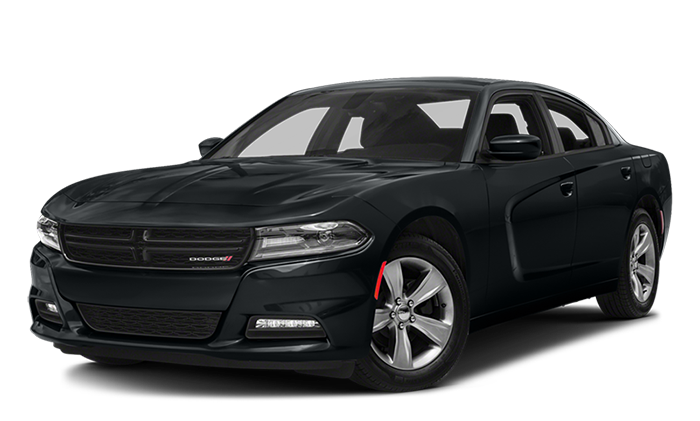 Available exterior colors include Pitch Black, Destroyer Grey, and Maximum Steel.